My First Washi Tape Card! I’ve had a bunch of 12×12 washi paper sheets for some time, but I haven’t done much more than use them to cut a few shapes and robots with the Cricut. Beth, one of my swap-bot buddies uses washi tape for envelopes, postcards, letters and other mail-related items. I was really fascinated by her use of it on an envelope and a couple of postcards she sent to me, so I turned to Pinterest for inspiration. Some people have done amazing things with washi tape, but I wasn’t looking for amazing; I was looking for simple. Then, Beth posted a washi tape card swap. The image she posted with the swap made making a washi tape card look super easy, so I thought I’d give it a shot. Steph, the card-maker, strategically placed colorful (uneven) strips of washi tape on card stock. She talks about the process on the blog post linked above the photo. I really didn’t have a plan. I just knew I didn’t want to go with horizontal or vertical lines. I thought I’d do just a few strips and leave an opening and some of the white border to embellish. I got a little carried away and ended up taping the entire card–with the exception of my middle. This was simple. And the good thing about the card is that I didn’t have to cut any new sheets. I used remnants from Cricut cutouts. There’s always the random strip of material here and there that isn’t used by the machine–the space between cutouts, the border, etc.–so I’m so glad I didn’t toss those “shaped-out” sheets. Should I fill the opening with green? Should I fill the opening with red? I even tried pink and thought about yellow and purple, but red won. Hmmm…An embellishment for the middle? I thought I liked this one and decided AFTER I tacked it down that the red and green were too much. I chose something a little more casual and a little less obvious with the color choice. I’m pleased. It’s bright and cheerful and just a little unpredictable and random. What do you think? Ooh this is lovely! I’ve never used washi tape for cards before…I’ll have to try it out! Thank you! You must try it out! It is so much easier than I expected it to be. Let me know how it turns out. Thanks for “following” my blog! I will do 🙂 You’re welcome! Thanks! 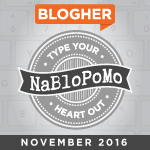 Do try it–then post it to your blog! 🙂 Really, it is very easy.